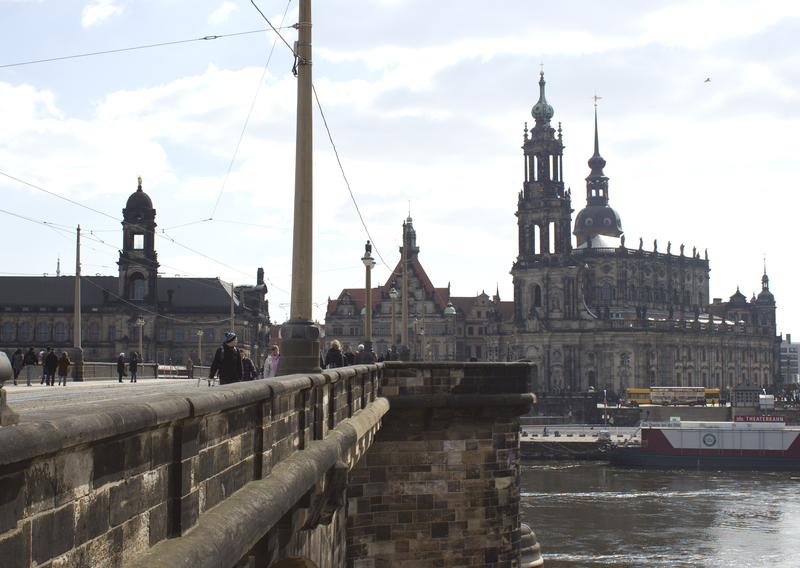 If anyone wants a recommendation for a European city break, don’t overlook Dresden, situated in former East Germany. Granted it’s not an obvious choice, but for those after some cultural history and interesting museums as well as a lively bar scene and good choice of restaurants, it’s perfect. It’s a thoroughly charming city, rich with cultural heritage and an abundance of cafes, bars and eateries in which to while away an afternoon or evening. It’s easily walkable and you’ll find striking architecture at every turn as well as some great independent shops to mooch around in. The people are incredibly friendly and welcoming too which is always a bonus. The city is divided into two halves by the River Elbe with the Aldstadt (Old Town) on the South side of the Elbe and the Neustadt (New Town) on the North side. Confusingly, the Neustadt is now the older area since 90% of the Altstadt was destroyed in the Allied bombings of 1945. After the reunification of East and West Germany all of the important landmarks in the Altstadt were rebuilt which has resulted in a beautiful city that looks regal in every way. Most of the city’s well-known historic buildings are located in the Altstadt and there are many large structures packed into a very compact zone including grand churches and museum buildings. Parts of the Altstadt reminded me a lot of Rome, with a cityscape dominated by Baroque and Renaissance style architecture and buildings laced with history. Many of the older pre-war buildings are still black and burnt which although seems rather odd, reveals part of the city’s history. 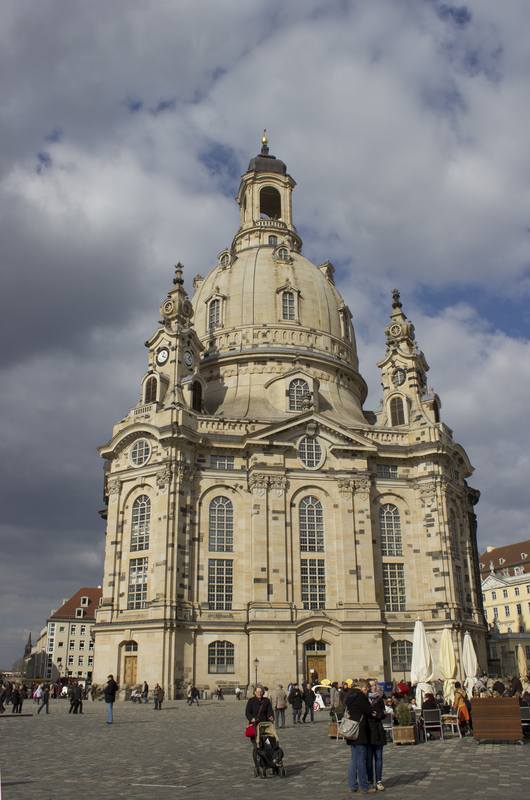 It’s incredible to discover that the huge domed Frauenkirche is actually a reconstruction of an 18th Century Lutheran church, it looks like a genuinely old structure but the fact that it is not black or burnt like many of the others is a bit of a giveaway. This seems to be the symbol of Dresden, and for €8 you can climb to the top where you will be rewarded with panoramic views of the city. Unfortunately the day we marked up for museums, Monday, was the day many of the museums we wanted to visit are closed, but on paper the collections of fine and applied arts are very impressive. 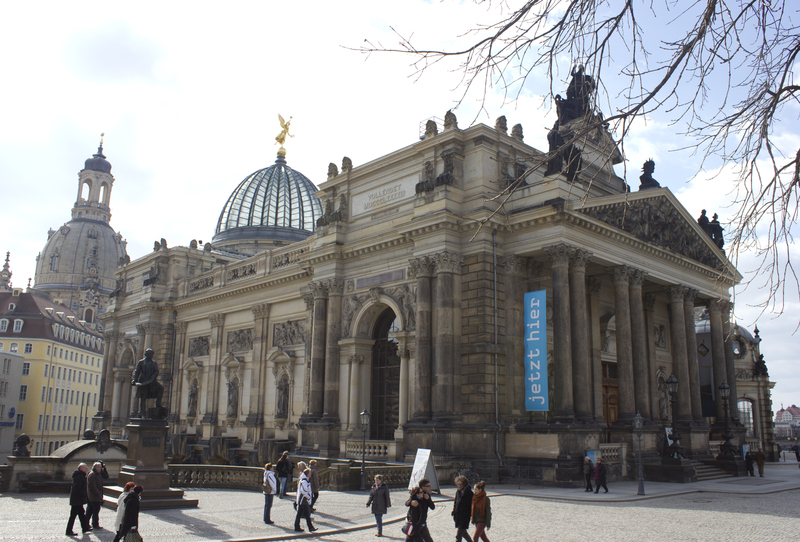 The Dresden State Art Collections has twelve museum institutions in total, all dotted around the Altstadt in a variety of impressive buildings. The Old Masters Gallery has core areas which include works by Italian Renaissance artists, 17th century Dutch and Flemish paintings, early German paintings and 17th century Spanish and French painters, the Green Vault displays goldwork and objets d’art and is supposedly one of the finest royal treasures collections in Europe, while the Albertinum houses the New Masters Gallery which displays a collection of 19th and 20th century art and sculpture. The current exhibition showing there, Constable, Delacroix, Friedrich and Goya: A Shock to the Senses, would have been good to see. On the North side of the Elbe, the Innere Neustadt (Inner Neustadt) is well worth a wander. It is decidedly upmarket with some very exclusive fashion boutiques and expensive antique shops. Referred to as the Baroque Quarter, there are an abundance of boutiques to be found down passageways and in courtyards that connect the smart elegant streets. For me however, the Äußere Neustadt (Outer Neustadt) was the main attraction. It’s slightly down at heel with graffiti on nearly every wall, but it’s super relaxed and there’s loads going on. It has a similar feel to the Lower East Side or Williamsburg in New York, a creative vibe with some great cafe bars and independent shops. When I visit a city I like to soak up the atmosphere of a place, wander the streets and stop off in cafes and bars to watch the people go by and see a city in action. The Neustadt was perfect for me. It doesn’t have the sights of the Alstadt but it has more of a ‘real’ city atmosphere. The Neustadt’s narrow streets have a bohemian feel with many lively bars and smaller independent shops. 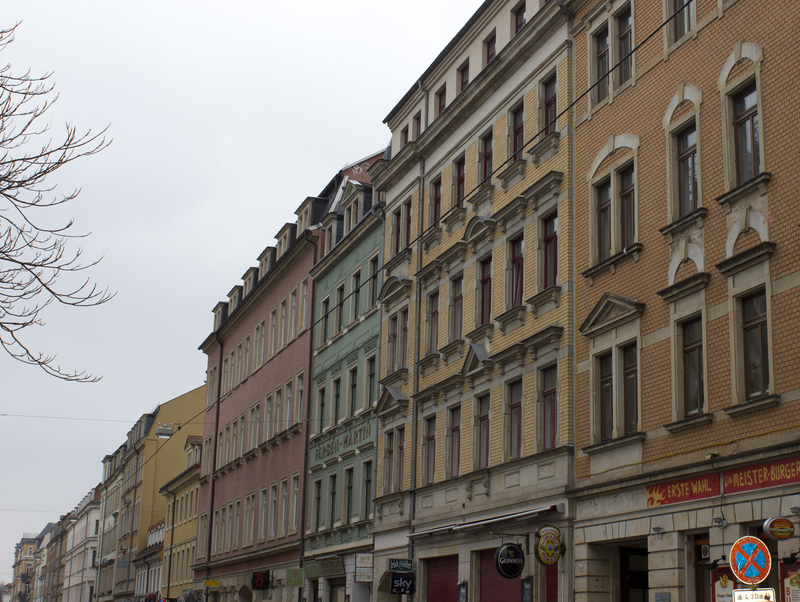 While the rebuilt Altstadt is a teaming tourist mecca (albeit a lovely one) with many chain hotels, the Neustadt is where the people of Dresden live and are out walking their dogs, shopping, riding their bikes etc. Sadly some interesting old apartment buildings are in a very bad condition, having suffered neglect under the communist regime, but many have been beautifully renovated and there are photo opportunities on practically every street with many of the buildings painted in different colours. 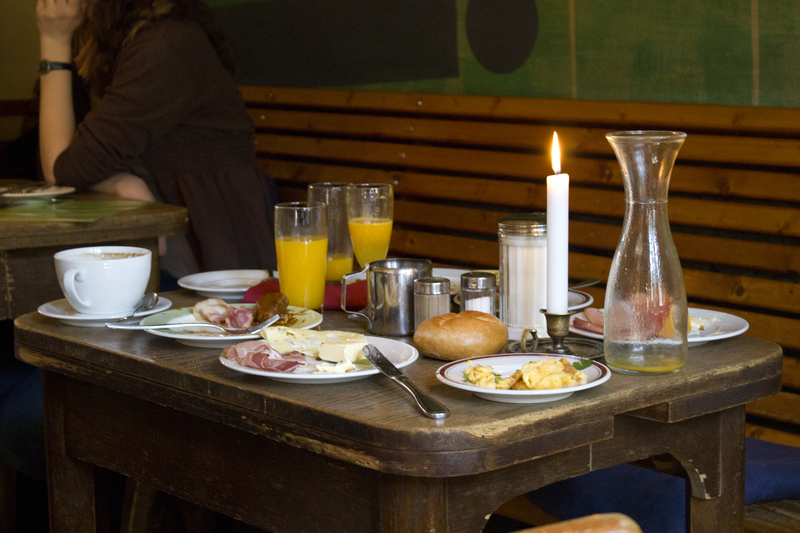 We visited a lovely authentic German restaurant which I would highly recommend, Planwirtschaft, which is tucked away in a little courtyard in Äußere Neustadt at Louisenstraße 20. The place itself is very cute and homely with old wooden tables and chairs, low level lighting, candles on all of the tables, glass jars and old fashioned scales on wooden shelves and vintage typewriters and old signs on the walls. It’s the type of place where you feel instantly comfortable, it’s super relaxed and the staff are really friendly to match the atmosphere. We actually went twice, the first time for an evening meal and then for a late brunch on the Sunday. The food was great, like well executed home cooking, both filling and tasty. Both times we sampled some fine local cuisine including a beef goulash with bread dumplings and soljanka, a rich tomato based hearty soup traditionally made with leftovers. Because of the location of the city being only 30 miles from the Czech border, local cuisine has a distinctly Eastern European / Russian leaning, which was perfect for the cold weather. Our other meals were good too and we thought eating (and drinking) out was generally cheaper than it is in the UK. Supermarkets seemed super cheap for grabbing bits to snack on during the day. We stopped at lots of different bars and cafes while we meandered through the city and sampled some fine beer and great coffee. To be honest our weekend there couldn’t have been more of a success, and we definitely plan to visit again.